As an architect/designer by trade I am always on the lookout for ways to sneak a little engineering into my children’s daily lives. For that reason I am excited to tell you you all about Fort Magic today, and how we have been using their amazing fort building kit to explore the world of architecture in full scale. This post is sponsored by Fort Magic. All opinions are my own! 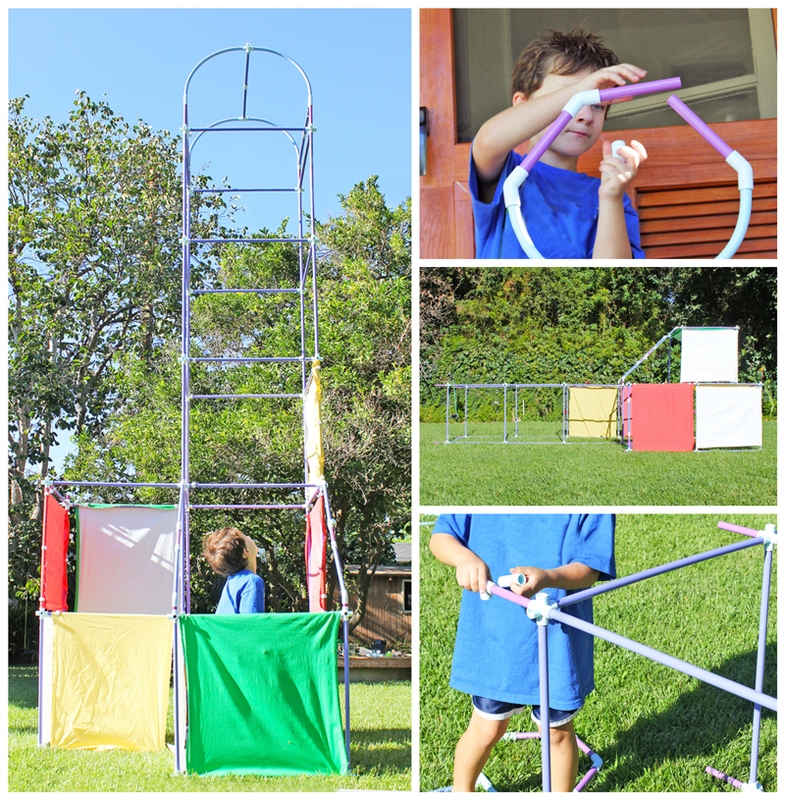 I first spotted Fort Magic on a fellow blogger’s website and was immediately intrigued, the kit made it look super easy to build BIG forts using a simple kit of parts. And let me tell you that no architect can turn down a kit-of-parts type toy. Designers looooove kits of parts, so when I had the opportunity to try out Fort Magic’s product and blog about it I jumped, or rather leaped at the chance. If you are a long-time follower of my blog you probably know that I rarely do product reviews, I’m really picky about the products I recommend to my readers, but when there is a really amazing product I love I absolutely want to let you guys know about it! 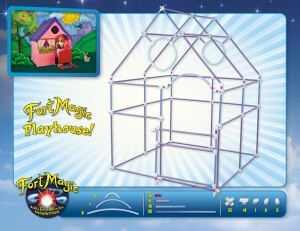 Fort Magic is one of those products. In fact if I were still designing products this is the type of product I’d love to be involved with. There are so many amazing ways to use their fort building kit that I could write quite a few posts, for now I’m going to focus on one aspect: how you can use Fort Magic to explore architecture with kids. What I love most about fort building is the opportunity for kids to build a space they can occupy and to feel what it’s like to be inside that space. Nothing matches the feeling for an architect of walking into a space you designed as it is being built and finally seeing what it looks like at full scale. 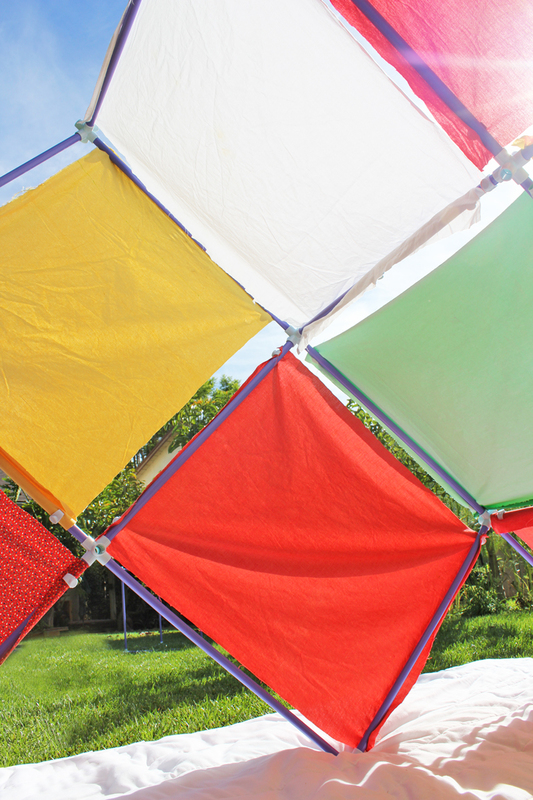 The same feeling can be imparted to kids through building forts. While we did start out using our kit by building a few of the projects included in the Fort Magic guidebook eventually we started building from our imaginations. Here’s what we came up with. 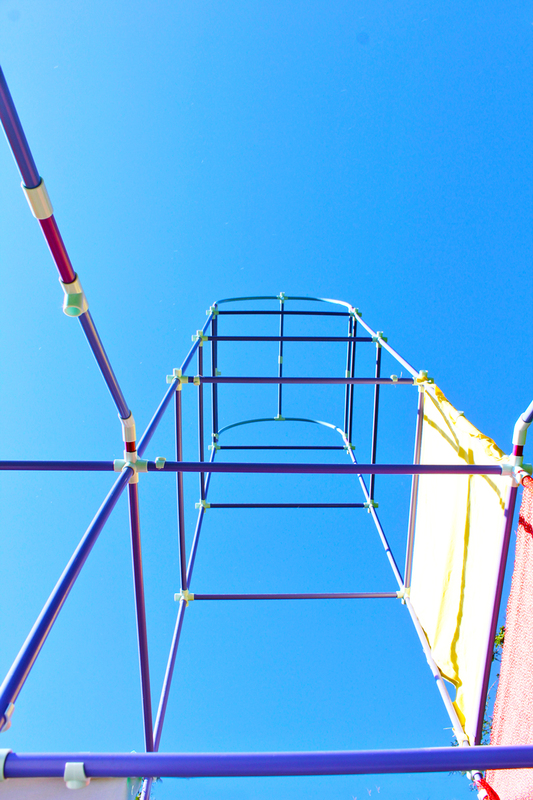 Forts give kids the chance to plan a space, engineer its construction, think about facades and walls, and then finally to occupy and use the space. 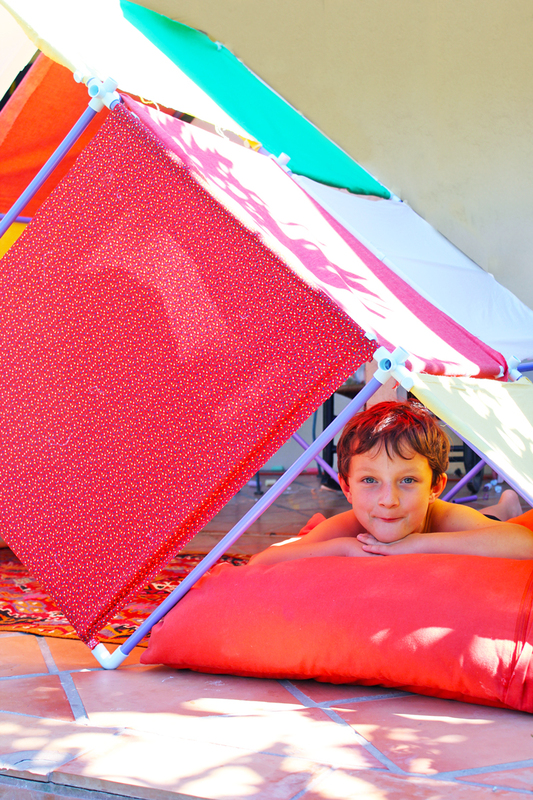 The forts we built here are a hybrid of ideas, some from my kids and some from me. Depending on the age of your children you can enlist their help in building and planning or just let them use the fort when it’s done. My 7 year old loved building the forts with me while my kindergartner simply enjoyed playing with the final product. I DO NOT recommend a tower higher than 5 units high, a unit being (1) 24” cube section- they are unwieldy! My son is obsessed with the Empire State Building so he wanted to build a skyscraper. We built this structure with our kit and my son named it the Tokyo Tower. This project took quite a bit of engineering on our part and for that reason alone was a fantastic play-based engineering project. And boy was it fun to pop this puppy up! The kids were mesmerized. We built it on the ground and then slowly lifted it into place. Luckily the kit is very lightweight and I wasn’t worried about anything or anyone being damaged should the tower topple over. Foundations We started off just building a straight tower but quickly learned that we needed a solid foundation to make it stand up. Tall structures need a solid base or they cannot withstand things like wind and impact without toppling right over. Wind loads Towers are subject to wind loads, we could actually see our tower wiggle in the breeze. We first built it with fabric panels all the way up but quickly realized those panels were acting as sails and causing the tower to topple over so I removed them. However this is a really great example of the types of forces that engineers and architects plan for when designing skyscrapers. Bracing We built up the base around the tower using a combination of cubes and diagonals. The diagonal bracing perfectly illustrated how using triangles you can brace a tall structure with less material than by simply building up the sides. Think flying buttresses! We had this fort up for several days and the kids loved it. It was simple u-shaped fort with interior walls to create a maze. The kids enjoyed hiding from each other inside of it. Space Planning This was a perfect illustration of how the configuration of interior walls can vastly change your experience of space. The same fort was a completely different experience without the interior “walls” aka fabric in place. Adding the walls allowed us to define rooms and create nooks within the larger fort. It also illustrated how dark interior rooms can be without access to natural light. Circulation This is a huge topic in architecture: how do you move through a space? By building and experiencing a life sized maze, kids have the chance to see why circulation is important, mazes are actually an example of poor circulation, albeit for fun, but perfectly show you how circulation can be confusing if not planned properly. This was my favorite fort. My daughter asked me to build a giant “A” so of course we built an A-frame fort! By the time we made this I had made our fabric panels (see our note about fabric below) and the fort became a true kit of parts right down to the exterior walls. 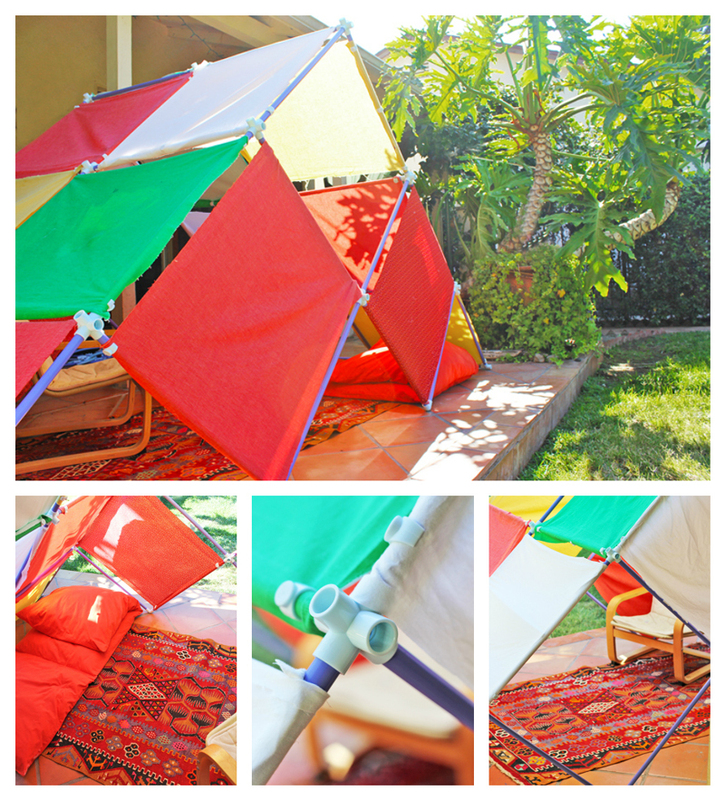 We played with this fort both on the grass and on our patio. Interior Design I loved this fort for its illustration of interior space. This was a seriously pleasant space to be in, the light that entered it was lovely and inviting, a great example of how and why architects strive to design spaces that have the right ambiance. When we moved the fort onto the patio we really got into the “interiors” of it and added a chair, pillows, and a rug. Fenestration That is a fancy word for wall openings/windows. We used the fabric panels to delineate the exterior walls and remaining openings were “windows, skylights, and doors.” This was a great way to show how openings in the walls affect the natural light that enters a room. It also shows how openings and their locations play into interior heat gain! You can talk about the orientation of these openings with respect to the sun and direction as well as time of day. So there you have it! Just a few ways to get started illustrating the field of architecture and space planning to kids through PLAY. I firmly believe that play is the best way to get children excited about learning and that even complex concepts like those related to engineering and architecture can be best illustrated through hands on experiences like fort building. Being able to do that with a brilliant kit of parts like Fort Magic makes it all the more accessible to parents and educators! 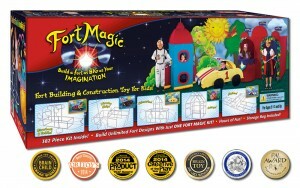 If you are pumped to purchase a kit of your own, buy a Fort Magic Kit via Amazon here! You can also read a boatload of customer reviews here. 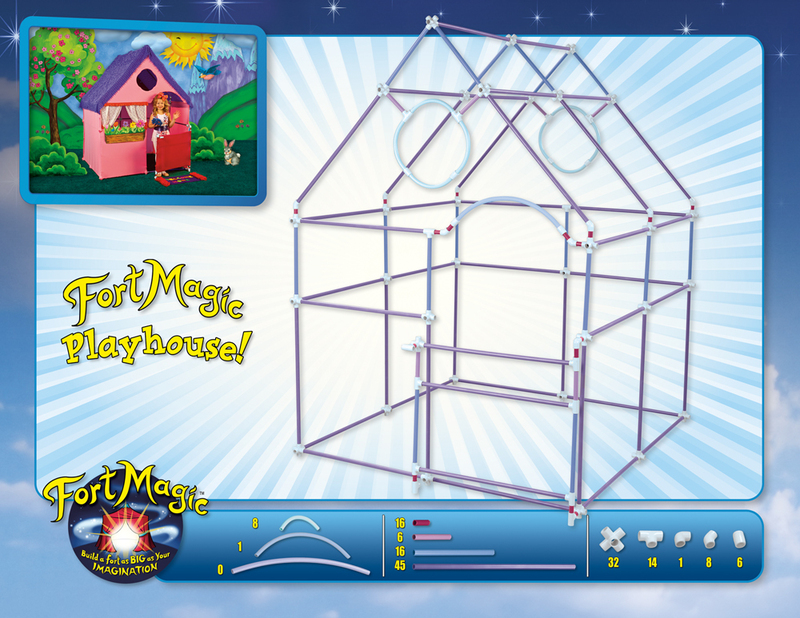 Fort Magic has been awarded 7 top educational toy awards! The 2014 Creative Child Magazine – Kids Product of the Year Award – Builder Construction Products for Kids category, the 2014 Creative Child Magazine – Creative Play of the Year Award – Creative Play Structures category, the PAL Award 2014, Tillywig Brain Child Award 2014, Parents’ Choice Recommended 2014, the Dr. Toy’s Best Classic 2014 Award – for Creativity, Construction, Educational Value and Activity Play for children, & Academics’ Choice Brain Toy Award! I’ve seen this on other blogs and Shark Tank. It looks so cool! I didn’t know it was on Shark Tank! How cool! Ha! The California sun is very inviting 🙂 Thank you for the sweet comments Bar! I totally need one of these. Wow. So cool. 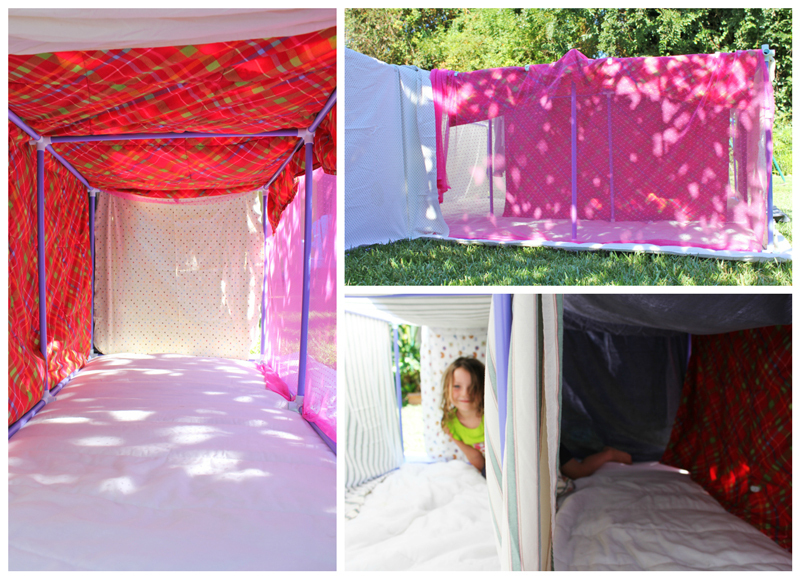 I am in love with the fabric panels you made and the A frame fort and the word fenestration. This post is really fantastic. I hope I win! I love how you used the fort kit to explore architectural structures! I love how this is like 10 times cooler than any other fort-making whatsit I’ve ever seen. My kids would probably move into this thing and never leave- and I agree, the A-frame is my fave, too. You architect, you. It’s neat how architectural concepts naturally come up. Great hands-on learning. I hope we win, my kids love building forts! It’s a great toy for so many reasons and the hands-on aspect and life size scale really make it stand out! I love how open ended this looks. I can imagine hours of fun. I bought a similar type kit earlier but it was bulky and the structures would tend to collapse if made bigger than a crawl space. This looks like exactly what I had hoped it would be but wasn’t . I really love the a-frame house idea! Very modern! These are just amazing. I can’t imagine what fun it would be to be a kid with these to build with! Plus – something a parent can truly appreciate. Thanks for the fantastic share. You always have such an eye for great! My boys would love this!!!! I love the imagination and creativity in this product. So happy to hear it Annette! I love this toy and my kids would love to win it. I know it would keep them busy for hours and they get to use there imagination to boot! Hello! Great article. Have you heard of arckit.com? It’s also a new product and originally designed for architects but kids are loving it. It’s a scaled model building kit. I will check Arckit out! Thanks for the tip! This looks so incredible. You took beautiful pictures and looks like ya’ll had a blast. I noticed the product was discontinued on the Amazon link you had and they are sold out on their website. Do you know if they are still selling them? They had some similar type kits on Amazon, but they didn’t look as good as this one. I know they sell their kits here: http://fortmagicstore.com but it looks like they are temporarily out of stock. It’s a fabulous kit. I hope they start selling it again soon! This kit looks so neat! The kids look like they had a ton of fun. Do they still use the kit? Did it hold up well? Hi Kaitlyn, It does hold up really well 🙂 We’ve had it for about 3 years now and I still use it all the time!